The autonomous ships market size is expected to grow from USD 6.1 billion in 2018 to USD 13.8 billion by 2030, at a Compound Annual Growth Rate (CAGR) of 7.00% during the forecast period. The increasing seaborne trade and the growth in maritime tourism drive the autonomous ships market. Digitalization making ships vulnerable to cyber threats and the shortage of qualified professionals in the maritime industry serve as restraints for the autonomous ships market. Based on autonomy, the partial automation segment is estimated to account for the largest share of the autonomous ships market in 2018. Systems such as propulsion systems, power management systems, alarm & management system, and others are being demanded by ship operators. The increase in demand for such systems is expected to drive the market for partial automation in ships. Kongsberg Gruppen, Rolls-Royce and Siemens are manufacturers that provide automation systems for commercial ships. Based on solution, the market is segmented into systems, software and structures. Increasing demand for reliability, and health & safety management systems & the requirement for real-time connectivity in marine ships is expected to drive the demand for systems segment. The Asia Pacific is estimated to account for the largest share of the autonomous ships market in 2018. Increasing demand for commercial ships from countries such as India, China, and Japan and the increasing investment in autonomous ships is expected to drive the market for autonomous ships in Asia Pacific. Key players in the autonomous ships market are Wartsila (Finland), Kongsberg Gruppen (Norway), Northrop Grumman (US), Rolls Royce (UK), and General Electric (US), among others. These companies provide autonomous ships and automation systems in various countries of across North America, Europe, and Asia Pacific. The market study covers the autonomous ships market across different segments. It aims at estimating the market size and the growth potential of this market across segments such as solution, ship type, end use, autonomy, and region. The report will help market leaders/new entrants in this market with information on the closest approximations of the revenue numbers for the overall autonomous ships market and the subsegments. 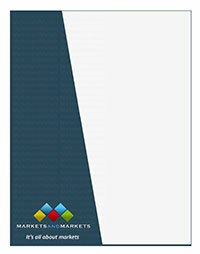 This report will help stakeholders understand the competitive landscape and gain more insights to position their businesses better and to plan suitable go-to-market strategies.